But beyond that…meh. This really isn’t my favorite shoe and now they have holes. When I used the word “squishy” in my preliminary review, that’s really the quality of the 2.0 that has continued to stand out for me, even after 250 miles. They feel very unstable; while running, the foam in the sole completely collapses under the forefoot, which makes them feel oddly like a traditional shoe. (They may be quite comfortable if you are a heel striker and maybe Altra meant for heel strikers to benefit most from the changes? Not sure.) 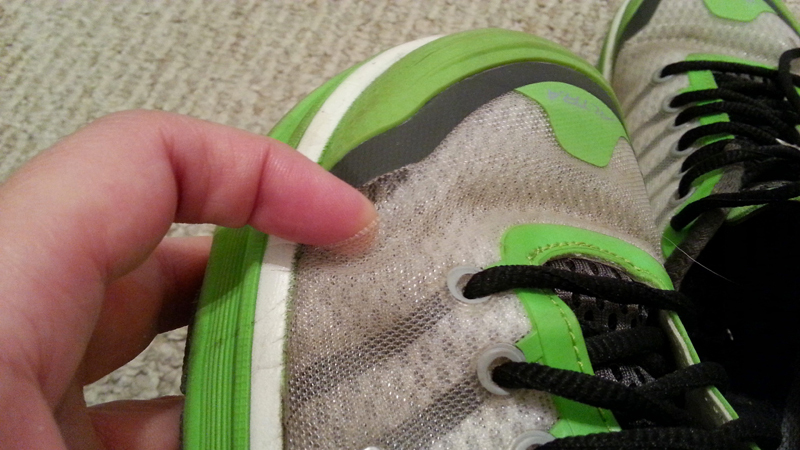 At any rate, it feels uncomfortable and isn’t the smooth ride I’ve come to expect from Altra shoes. It took me a very long time to transition from 1.5 to 2.0—longer than it did to transition into a zero drop shoe in the first place. I try not to be vain about shoe color, but I have to say…the 2.0 colorways are not attractive. I really thought all three were equally ugly and ended up with the white/green model simply because my size was not available in the other colors. Something I hated from the beginning was the plastic-y mesh overlay. 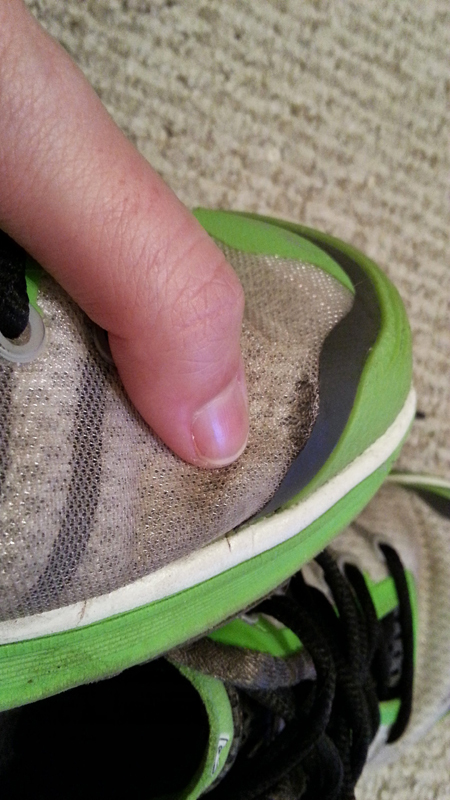 It’s ugly, it makes the shoe stiff, and I’ve never understood why it was on the shoe at all. (It also traps dirt, which is awesome when your shoe is white.) I keep thinking I’ll cut it off and now it seems I won’t need to because it’s coming apart on its own. I noticed last week that the overlay has holes in it on all four edges along the toes. 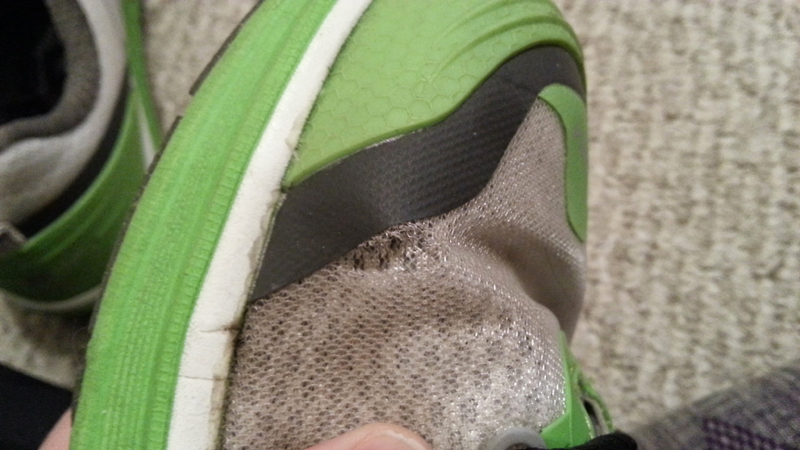 I’ve read complaints about some of Altra’s trail shoes developing holes, but I’ve put hundreds and hundreds of miles on the Intuition 1.0 and 1.5 models and never had anything like this happen. Word on the street (the Altra FB page) is that the next version, the 3.0, will be less squishy and more like the older models. I’m keeping my fingers crossed.